Your home is a massive purchase. It is likely to be the most expensive thing you ever buy. There are different parts of the home buying process that many people are not familiar with. The closing costs often surprise first time home buyers. Let’s take a look at what exactly closing costs are and how they will affect you during the sale. Closing costs are fees that you pay when you get a mortgage. They are charged by third parties and lenders. These are related to the purchase of your home. This means that you will also owe the lender closing costs, in addition to interest and principal related to the mortgage and the down payment on your home. These are normally paid at the time that the mortgage is closed. The buyer of the home is usually the person who pays the closing costs, although the seller pays part of the closing costs on VA loans. Underwriting fee: This covers the cost of a mortgage loan application evaluation. Recording fee: This is paid to a county or city in exchange for recording new land records. 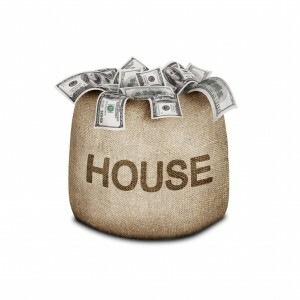 Escrow deposit: This covers private mortgage insurance and property taxes for several months. Title search fees: These pay to see if there are any tax liens or unpaid mortgages on the property. Title insurance: This protects the lender in the event that the title is not clean. Survey fee: This covers the property line verification process. Discount points: These are fees paid in exchange for an interest rate that is lower. Fees for any inspection requested or required by you or the lender. Loan origination fee: This pays for the loan paperwork being processed by the lender. A fee for the running of your credit report. A home buyer’s closing costs will usually be between two and five percent of the home’s purchase price. Within three days of when you apply for a loan, lenders are legally required to provide you with a good faith estimate of what your closing costs are going to be. A no-closing cost mortgage will allow you to avoid upfront closing costs. When you close the mortgage, you will not pay any of the closing costs. However, because you did pay the closing costs, a lender may decide to charge you a higher interest rate. A home buyer can also enter into negotiations with the seller regarding who will pay the closing costs. Now that you know how to manage closing costs, start searching for a home in Huntsville, AL. With any luck, the closing costs you need to pay will be minimal. Hopefully, you will find the home of your dreams.